Nice the robot so quiet, I like it but it is really for an apartment more so than a house, its has a USB cable which makes it easy to charge, just like a cell phone!! Great price for the item!!! Low noise, no disturbing to your daily life. 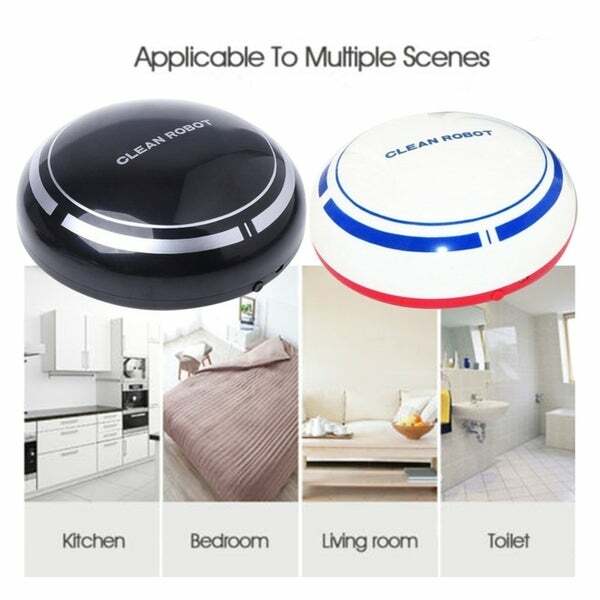 360 degrees auto steering go around your house. Making cleaning an easy thing to do. Dimensions 7.09 In. X 7.09 In. X 12.21 In. Was very disappointed!!! It does not vacuum carpets. No where in details does it say floors only. In addition it will get stuck from a hardwood floor to carpet! "does this clean robot have a base station - if not how to you recharge it?" You can recharge it with the charge cable. You can charge it with the cable.